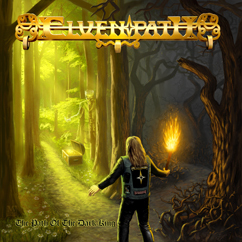 Elvenpath is not another retro band that tries desperately to sound old school and is more concerned about tight pants and numerous spikes than about good songs. Neither are they oblivious to the glorious past of Heavy Metal. They’re rooted in the traditional style of (German) Power Metal but there are plenty more influences to be discovered in their music.